Van Nuys, Los Angeles apartments include a variety of dwellings suitable for all tastes. The quaint urban neighborhood is bordered on the south side by Sherman Oaks, on the north end by North Hills, on the east side by Valley Glen, on the west end by Lake Balboa. You’ll find Panorama City on the northeast side, Northridge on the northwest end and Sepulveda Basin to the southwest. Many of our apartments are located near the Van Nuys Recreation Area, which has something for everyone. There is a large gymnasium and auditorium, capable of accommodating as many as 420 people at one time. Everyone in the Van Nuys community and surrounding area is welcome to use the lighted baseball diamonds, barbecue pits, children’s play area, lighted outdoor basketball courts, lighted handball courts, lighted tennis courts and lighted soccer field. The beautiful California weather makes this recreation area a year round source of fun and entertainment for all of the residents of fabulous Van Nuys, Los Angeles apartments. With the 405 cutting right through Van Nuys, and with a few LA Metro stops in the city, it’s easy for residents to get in and out of town whenever they please. The Orange Line will take residents to Hollywood and Downtown LA. Van Nuys has its own airport, and the Bob Hope Airport is not too far away in Burbank. 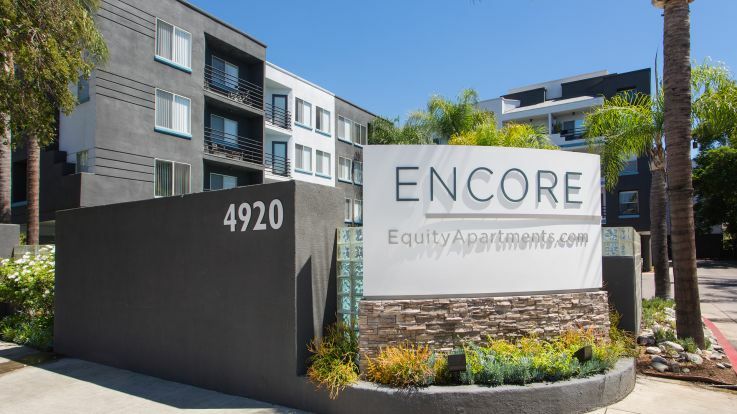 To make this idyllic location your new home, check out the listings for Van Nuys, Los Angeles apartments from Equity. Many of our apartments are pet friendly and smoke free, which means you can take your beloved furry friends with you when you move, and you don’t have to worry about spoiling your health with second-hand smoke from the neighbors.